SuperFOIL Insulation been awarded its first prestigious approval from the British Board of Agrément (BBA) for its range of multifoil products. The UK manufacturer and supplier to the construction industry has been recognised for the performance of its Multi Foil roof, wall and floor insulation products following a rigorous two-year assessment. SuperFOIL’s Multi Foil range includes the highest performing insulation multi foil products on the market. The insulation is produced from 40% recycled materials and has a life expectancy of more than 50 years with a GWP rating of 3. With R values ranging from 2.27 for its 40mm thick SF19 product to 4.42 for its 100mm SF60 insulation when used for roof insulation. All the Multi Foil range is 1200MNs/g vapour resistant. Recently, the company’s SF40 Multi Foil insulation was chosen by Herefordshire Housing Association for a £3.5m project to improve the energy efficiency of around 5,800 homes and the insulation was used for the conversion of a Grade II listed police station and courthouse in Corwen, Wales. 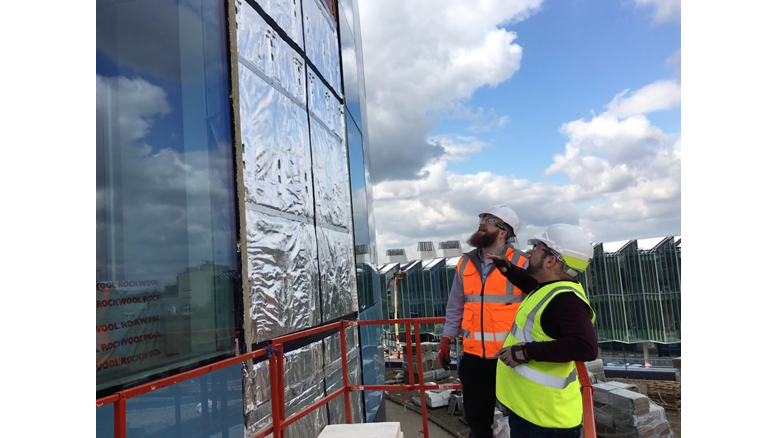 While all SuperFOIL products are independently laboratory tested to comply with all relevant UK building regulations, the BBA accreditation means SuperFOIL customers can now get building regulation applications approved without delay for their Multi Foil products, avoiding potentially costly delays or missed deadlines on site. The BBA is the UK’s leading independent assessment body for the construction industry when it comes to third-party approvals, certification and test services. Will Bown, managing director of SuperFOIL, said: “Getting this BBA has been a real test for every part of our business, but rightly so where building safety and performance is concerned. The expectation level for BBA is so high that it’s impossible to achieve without passing the most stringent of standards at every stage. BBA accreditation is widely recognised at all levels, including builders, architects, building control, local authorities, Government and industry insurers such as the National House Building Council. This new BBA approval rates SuperFOIL as fit for purpose on factors such as condensation risk, durability, reaction to fire and thermal performance. It comes after SuperFOIL grew by 25% last year, posting record sales of £3m. Recent notable SuperFOIL installations include Tottenham Court Road Underground Station, Number One Hyde Park and the new Royal Papworth Hospital in Cambridge. Its products are already approved by Local Authority Business Control (LABC) and Local Authority Building Standards Scotland (LABSS) in the UK, as well as Deutches Institut für Bautechnik (DIBT) and ZAG in Europe. For more details, speak to the SuperFOIL technical team on 01636 639900 or email technical@superfoil.co.uk.